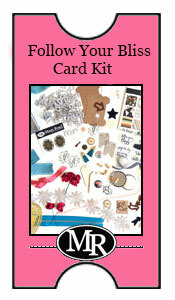 Announcing Our Merry Everything Embellishment Kit! The beautiful and festive time of year is just around the corner and at Maya Road, we are certainly getting into the holiday spirit. This year we're making is easy for you to create your holiday projects with our latest Maya Road Kit: Merry Everything. Whether you create a daily December album, scrapbook your holiday memories, deck the halls with your creative projects or send out Christmas wishes through your own hand-crafted cards...this kit is for you. Merry Everything brings to mind cozy winter nights around the tree, your favorite hot drink and the excitement of counting down the days. This is a unique kit, an embellishment kit, that allows you to choose your own paper to pair it with. Merry Everything coordinates with traditional and on trend color palettes so that you can choose your favorite paper line, mix it up with many papers or just use up what you already have on hand. Merry Everything is also a great way to try out lots of our fabulous Maya Road product. We know you'll love it. Our holiday gift to you is the price! Merry Everything is only $32.99 plus shipping. As this kit's retail value would be more than $50, it's really too good to pass up! 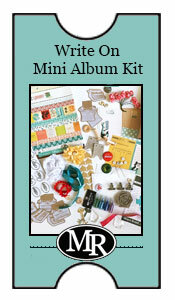 We hope you enjoy this kit as much as we enjoyed putting it together for you! We think you'll agree the possibilities are endless. So many of the products in the Merry Everything Kit are just so wonderful we thought you might want to be able to purchase a few extras. Purchase any or all of the add-ons at the same time you purchase the kit and we'll mail them at the same time with no additional shipping charge! Love trinket pins and flair? This is a SWEET add-on with one entire package of Maya Road Gold Super Star Pins and four exclusive Merry Everything Kit Flair. Addicted to trim? You're going to adore these sweet little spools wrapped with some of our beautiful Maya Road trims. You may have noticed that four of the spools are found in the kit but as a special part of this add-on, check out the stunning Emerald Jewel Trim. It's an exclusive as well that you'll only find in this add-on and there's 1/2 yard of it wrapped around a darling wood spool. Quantities of the other trims in this add-on are the same as are in the Merry Everything Kit. These sweet 3"x5" muslin bags are exclusive to Maya Road Kits and are perfect for storing embellishments and other treasures or filling with goodies as stocking stuffers. They can be stamped on and stitched on so get creative! These sweet little silver tree clips and gold star clips make beautiful holiday crafting accents. In this add-on you get 3 of each. Hello cuteness! Aren't our exclusive striped glassine envelopes darling? Make a paper bag mini, stuff them with treats, store holiday memorbilia on layouts or fold them to make a card. These envelopes are 5"x7" in size and each add-on gives you 8 red and 4 green.